← VIDEO: #TalkReal London: #Brexit Europe? Could you comment on the results of elections in Venezuela, as well as the situation in that country after the elections? The results (55 seats for government parties and 112 for the opposition) look so extreme because of the election mode – 80% of the PM’s are elected by majority mode. In percentage it’s around 41% for government parties and 56% for the opposition. Obviously it is still a bad result. The result has various causes. Venezuela has suffered severe economic attacks over the last two years – shortage of food and other goods caused by capitalist producers, also they are smuggling it and keep hiding production, not producing and all kind of things. That was followed by a campaign of paramilitary groups who have constantly been sabotaging electricity distribution. After the elections Maduro also pointed that out as one of the main reasons for loss. But I think that is a mistake. Obviously, these attacks are serious but we had situations in Venezuela under Chavez when the economic situation was even worse and people did not turn against the government. So the main discontent is not that there is an economic war, but how the government dealt with the problem or whether it dealt with it at all. And, finally, I believe, it does not matter how “bad” the opposition is, we can’t expect that the right or the imperialists and capitalists are doing us a favor by building socialism, so they will always attack us and be against us. Somehow it’s always up to the left forces to handle it. In my opinion, the causes of bad results lie in the bureaucratization witnessed over the last years. Also, there is a lot of corruption and these issues were not addressed properly by the government. Participation, the central question under Chavez, is not so important any more. Also the question of workers’ control is not part of Maduro’s discourse. On the other hand he has been doing a lot about communes and local self-government. But for most people this was not enough and that’s why they lost the elections. There were a lot of warnings before that, people were complaining. Are there forces outside of institutional politics that can continue the Bolivarian process? Structures that already exist – collectives, groups, grass root organizations, the mass organizations like unions or peasant organizations – that are autonomous from the government, and have always been criticizing the government and its policies. So I think that these structures, and specially self government structures like the communal councils and the communes (where over the past years people have built structures to decide about their communities as well as about economic, social, cultural etc. projects) these structures are a good base to preserve and continue developing some kind of counter power to the right wing position. And what can we expect from the right wing? Now they are shouting out loud that they want to cut off social housing, to cut down on media and all other kinds of austerity measures. That is a lot of show, Venezuela is a presidential system, so the government is appointed by the president. Many social policies are guaranteed by the constitution, so many of the decisions the National Assembly can take will pass through the High Court which will have to decide if they go against the Constitution. So, we will have to see. And generally, whatever happens will depend very much on the mass mobilization and the resistance that people put up to prevent certain things, and I don’t think that the opposition wants to risk total mass mobilization against them at this moment. They will probably try to avoid presenting them as guilty for the situation that the country is going through before the next presidential elections. The opposition is probably happy not to be in power now that the price of oil is so low. It is more comfortable for them to keep blaming Chavismo for the problems. One of the old, but actual debates on the left is institutions vs. civil society. How do you see this division? I usually reject this bourgeois division between politics and economy and civil society. To make different spheres of it is like accepting liberal explanations for why some people govern and some are governed. Why shouldn’t the people govern themselves? Institutions and the whole political representational sphere follow a totally different logic than civil society. They follow the logic of things that are measurable, that you can quantify by numbers etc. and society doesn’t follow that logic. Real advance of society can rarely be measured by numbers. While institutions and the political sphere are based mainly on being able to control and predict social processes, social change and transformation and societal transformation needs an open end. It needs an unpredictable process because otherwise there will be no change, no creation. At the conference you mentioned legislation as a possible obstacle to that creativity and change? We usually think that laws can solve things. Also, the people from the left are willing to push the laws for some things like recuperations of companies, and especially in the countries where there are a lot of them. Countries like Argentina, Brazil and Uruguay have laws on factory recuperations, and we have these discussions in the EU. Still, experience with that type of legislation in the mentioned countries has been very contradictory. Since the law was introduced in Brazil there hasn’t been a single factory recuperation. The same is true of Uruguay and in Argentina the number dropped while the amount of time from occupation to legalization doubled. 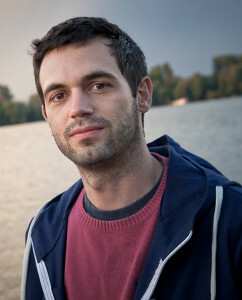 The problem is that by making the law you turn these social processes of struggle, conflict and public dispute into administrative processes. What happens is that conflicts are not visible any more. Because if you have to go to the office with the lawyer instead of organizing demonstrations, putting out banners, blocking something etc. – then you cease to be an example for other struggles. And that’s one of the reasons why the number of recuperations went down, even in Argentina, at least before the current crisis began. By providing laws you also reduce the general participation of the workers. The process becomes a specialized administrative act. That means that a lawyer and several other more skilled workers will go to some office, but then it’s not a collective process any more. You have a lot of knowledge about recuperations. 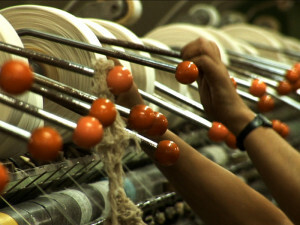 Can you tell us something about the relation of workers and their factories and local communities? That has different levels. One is obviously in the struggle, you are obviously often under attack and if not legalized immediately you will face several attempts of eviction by the police etc. So you need to create the support for the factory – you need the support of the community. But I think that this connection goes beyond that. If you work in a capitalist factory, what is your gain? You get a salary, and that is what pays for your work. If you work in a recuperated factory, especially at the beginning or during the occupation, it’s not the money! In the long run it’s not about a money. So, you have to create new values. In my experience, mostly from Argentina and Venezuela, workers are very proud that their factory is doing something for the community. That they gave factory space for the needs of the community, they opened rooms – like Chilavert in Argentina – they have a school were adults can take their secondary or high school degrees. In the same factory there is an archive of the research center of the recuperated factories. Others open their spaces for parties, community activities, or help create cooperatives as suppliers or direct selling points in communities in order to eliminate intermediaries and to have lower prices. In the long run, I would also say that if we think about what a socialist society could look like than it’s important to think that workers’ control can only be an interim solution. Production is not only a question of the workers, it’s also something that regards the communities that live around the factories and the consumers, maybe even the primary producers of materials that factories are using. At the end we have to think of some kind of model of participation where all these groups that do not have necessarily the same interests coordinate with each other. The Vio.Me. 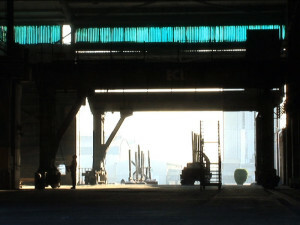 factory in Thessaloniki, Greece, could be a good recent example in this direction. Could the adjustment of production so that it is more ecological be part of that? Often people think that workers don’t care about that – “they only think about their job” etc., and it’s true to a certain extent when they are under capitalist pressure. But workers in Vio.Me., since they control the factory now, decided to shift production from chemical construction materials to organic cleaners, because of their own and their families’ health, because of the community and everyone else. And it’s not the only example, there are two recuperated factories in France, one – an industrial tea producer, is now making 16 types of organic tea, mainly with local fruit and herbs, and they have business relations with an organic tea cooperative in Vietnam. The second recuperated factory in France used to produce industrial ice cream and is now making organic ice cream and yogurt. In Italy two factories started reuse and recycling operations, and in the USA one recuperated factory switched from conventional doors and windows to eco-friendly windows etc. So I think that when workers really have a chance to decide then they decide in favor of something that is more healthy for them and others. In Yugoslav self-management the relation between factory and community was very important, but that was in a different system. Could we say that these processes in South America are changing these relations? It’s not easy but it’s very, very important. Many of the recuperated factories, especially the ones in Europe and in Argentina and Venezuela, are often somehow open factories. Factory space is open to society and it is integrated and interacts with the community through activities organized together. At the same time there is the process of solidarity and there is a strong relation with other struggles in the community but also with other factories. It’s not the connection with the community that we could see in Yugoslavia for example, but also the conditions are not the same. This is already something that is going against the idea of a very closed fordist factory, but also something different from a permanent postfordist social factory. What we are dealing with is a process of opening and building ties from the position of workers that can only happen if the factory is under workers’ control. 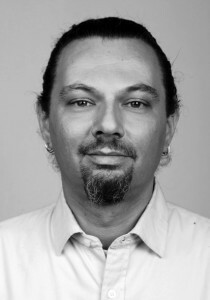 Together with Oliver Ressler you worked on several movies about recuperations, workers’ control, community organizing etc. Would you call it an art, or do you see this differently? Yes, it’s art! Art should confront the observer with something and have him develop his own ideas about it. And at the same time it’s also an abstraction, it might look like one on one, but it is obviously not. And since art is an abstraction of processes in society it’s also important to intervene in this sphere to create a different imagination of processes in society. Also, I would say that social sciences are not able to grasp everything that is part of social processes. You cannot write down everything. Social processes and the understanding of social processes needs also other “instruments” beyond social sciences. It’s also a question of representation of ideas or people. 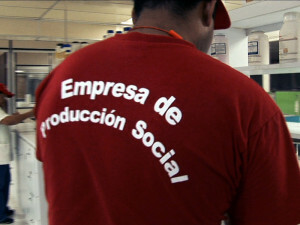 One example could be representation of workers – when you see them on conventional TV they will always be interviewed while under pressure, working on a machine, being able to say a just a few words, not able to communicate whole concepts – workers are like that in general bourgeois imaginary, and we are trying to change that in our movies. If you asked a worker, he wouldn’t ever say: “Oh, I’m not able to speak three sentences and I’m always working and I always wear dirty clothes”. So, in our film it’s also a question of how to “present” workers – we don’t film them while they are working, they have time to express themselves and they are the main characters. If it’s a film about workers – it’s the workers explaining what they do, it’s not a professor or whoever explaining what workers do. Could you compare films to texts, is there a different reach, impact? Films circulate much faster than books for example, but in shorter time. And they often provoke immediate discussion because it’s more often that you watch a film then read a book with someone else. But also to see people on film, to see workers, their faces, their hands, and eyes is something very different than to read texts. And obviously we are somehow forced to make clear lines between these fields. I think that lot of that is because if you want to find some finances for your project you have to make it clear that it’s different from other practices or fields. In reality these fields are much more overlapping. For me it’s just another mode of expression. At the same time I feel it’s artificial to divide all these fields – to say this is sociology and this is political science, ethnography, art, etc. We are using ethnographic film elements for art films that are shown in art exhibitions, activist circles, among workers, in university classes, cinemas, etc. Let us go back to the question of workers’ control. There are a number of examples from South America, but is it possible in Europe, and specially on the periphery of Europe? First of all, historically, workers have taken control of the means of production in all kinds of political and socio-economical situations and under any kind of government: in democratic revolutions, socialist revolutions, anti-capitalist struggles, struggles against austerity, anti-colonial struggles, defeat of fascism … – in any kind of “crisis”! Second, it’s interesting to see what is the role of economic crises in this. Workers from Greece or from France can perfectly identify with workers from Argentina when they meet them, and the other way around. I’ve been at many meetings where workers from Europe and Latin America were together, and they didn’t have any problem communicating at the same level, they shared very similar experiences and recognized each other as equal. On my first visit to Greece after the crisis I brought some comrades the book “Ours to Master and Ours to Own” on workers’ control – everyone was saying “O yeah, it’s interesting but it will not happen in Greece…” “Greek workers are different …” … And yet it happened. So the situation in the center and the periphery is the same? I think it’s an old question of the left that we tend always to say that it’s important what is happening in the center while there is much more happening in the periphery. That’s the way the things are. Even if the structural importance would be bigger in the center, the openings that are giving new possibilities for change are happening in the periphery. And if we look at the last 100 years it has also been like that. The Russian revolution took place in the periphery. The huge movement of the recuperations is coming from the periphery and it’s coming to Europe, from the periphery of Europe to the center. Conditions are changing so fast that the countries now definitely perceived as the periphery of Europe were consider to be the center just a few years ago. The same is true of Latin America. So, these conditions can change very fast at least for a large number of workers. But what is important – also the center has two sides – if you have a regular job in Germany and you are part of some safety net then you are well-off. But at the same time Germany is the biggest law wage job market in Europe. Millions of people are earning 460€ per month in Germany. Obviously there are still more social services, more safety nets etc. then somewhere else, but I wouldn’t be surprised if in ten years the situation in Germany became more-less the same as is in Spain, Greece, Italy or somewhere else. And some conditions are already better in Latin America than in Europe. At least the public discussion is different. In Latin America there is a pretension to create education and health services which include everyone. This pretension doesn’t exist in Europe any more. Latin American countries are opening universities. Brazil alone opened more than 50 universities over the last 6 years. Ecuador created a program to bring 500 academics from Europe to teach in Ecuador and there are many other examples. Thus, the situation regarding the question of “center and periphery” is not as easy and clear as it was perhaps several years ago. Or, let’s say that concepts of what the center and the periphery are supposed to be are changing.